Feb. 28 marks the 75th anniversary of Operation Gunnerside, and though it hasn’t yet been 100 years, the memory of this successful Norwegian mission remains strong both within Norway and beyond. Memorialized in movies, books and TV mini-series, the winter sabotage of the Vemork chemical plant in Telemark County of Nazi-occupied Norway was one of the most dramatic and important military missions of World War II. It put the German nuclear scientists months behind and allowed the United States to overtake the Germans in the quest to produce the first atomic bomb. While people tend to associate the United States’ atomic bomb efforts with Japan and the war in the Pacific, the Manhattan Project—the American program to produce an atomic bomb—was actually undertaken in reaction to Allied suspicions that the Germans were actively pursuing such a weapon. Yet the fighting in Europe ended before either side had a working atomic bomb. 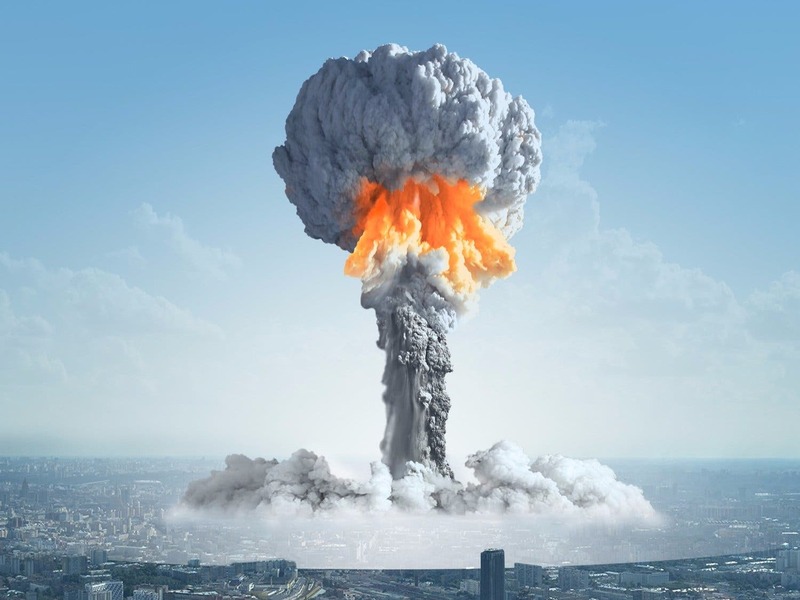 In fact, a rehearsal for Trinity—America’s first atomic bomb test detonation—was conducted on May 7, 1945, the very day that Germany surrendered. So the U.S. atomic bomb arrived weeks too late for use against Germany. Nevertheless, had the Germans developed their own bomb just a few months earlier, the outcome of the war in Europe might have been completely different. The months of setback caused by the Norwegians’ sabotage of the Vemork chemical plant may very well have prevented a German victory. What Colonel Tronstad, himself a prewar chemistry professor, was able to tell his men was that the Vemork chemical plant made “heavy water,” an important ingredient for the Germans’ weapons research. Beyond that, the Norwegian troops knew nothing of atomic bombs or how the heavy water was used. Even today, when many people have at least a rudimentary understanding of atomic bombs and know that the source of their vast energy is the splitting of atoms, few have any idea what heavy water is or its role in splitting those atoms. Still fewer know why the German nuclear scientists needed it, while the Americans didn’t. “Heavy water” is just that: water with a molecular weight of 20 rather than the normal 18 atomic mass units, or amu. It’s heavier than normal because each of the two hydrogen atoms in heavy H2O weighs two rather than one amu. (The one oxygen atom in H2O weighs 16 amu.) While the nucleus of a normal hydrogen atom has a single subatomic particle called a proton, the nuclei of the hydrogen atoms in heavy water have both a proton and a neutron—another type of subatomic particle that weighs the same as a proton. Water molecules with heavy hydrogen atoms are extremely rare in nature (less than one in a billion natural water molecules are heavy), so the Germans had to artificially produce all the heavy water that they needed. In terms of their chemistries, heavy water and normal water behave very similarly, and you wouldn’t detect any differences in your own cooking, drinking or bathing if heavy water were to suddenly start coming out of your tap. But you would notice that ice cubes made from heavy water sink rather than float when you put them in a glass of normal drinking water, because of their increased density. Those differences are subtle, but there is something heavy water does that normal water can’t. When fast neutrons released by the splitting of atoms (that is, nuclear fission) pass through heavy water, interactions with the heavy water molecules cause those neutrons to slow down, or moderate. This is important because slowly moving neutrons are more efficient at splitting uranium atoms than fast moving neutrons. Since neutrons traveling through heavy water split atoms more efficiently, less uranium should be needed to achieve a critical mass; that’s the minimum amount of uranium required to start a spontaneous chain reaction of atoms splitting in rapid succession. It is this chain reaction, within the critical mass, that releases the explosive energy of the bomb. That’s why the Germans needed the heavy water; their strategy for producing an atomic explosion depended upon it. The American scientists, in contrast, had chosen a different approach to achieve a critical mass. As I explain in my book, “Strange Glow: The Story of Radiation,” the U.S. atomic bomb effort used enriched uranium—uranium that has an increased concentration of the easily split uranium-235—while the Germans used unenriched uranium. And the Americans chose to slow the neutrons emitted from their enriched uranium with more readily available graphite, rather than heavy water. Each approach had its technological trade-offs, but the U.S. approach did not rely on having to synthesize the extremely scarce heavy water. Its rarity made heavy water the Achilles’ heel of the German nuclear bomb program. Rather than repeating the British strategy of sending dozens of men in gliders, flying with heavy weapons and equipment (including bicycles!) to traverse the snow-covered roads, and making a direct assault at the plant’s front gates, the Norwegians would rely on an alternate strategy. They’d parachute a small group of expert skiers into the wilderness that surrounded the plant. The lightly armed skiers would then quickly ski their way to the plant, and use stealth rather than force to gain entry to the heavy water production room in order to destroy it with explosives. Six Norwegian soldiers were dropped in to meet up with four others already on location. (The four had parachuted in weeks earlier to set up a lighted runway on a lake for the British gliders that never arrived.) On the ground, they were joined by a Norwegian spy. The 11-man group was initially slowed by severe weather conditions, but once the weather finally cleared, the men made rapid progress toward their target across the snow-covered countryside. 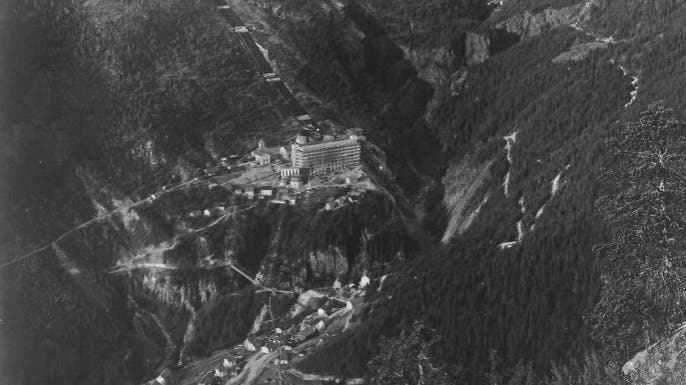 The Vemork plant clung to a steep hillside. Upon arriving at the ravine that served as a kind of protective moat, the soldiers could see that attempting to cross the heavily guarded bridge would be futile. So under the cover of darkness they descended to the bottom of the ravine, crossed the frozen stream, and climbed up the steep cliffs to the plant, thus completely bypassing the bridge. The Germans had thought the ravine impassible, so hadn’t guarded against such an approach. The Norwegians were then able to sneak past sentries and find their way to the heavy water production room, relying on maps of the plant provided by Norwegian resistance workers. Upon entering the heavy water room, they quickly set their timed explosives and left. They escaped the scene during the chaotic aftermath of the explosion. No lives were lost, and not a single shot was fired by either side. Outside the plant, the men backtracked through the ravine and then split into small groups that independently skied eastward toward the safety of neutral Sweden. Eventually, each made his way back to their Norwegian unit stationed in Britain. The Germans were later able to rebuild their plant and resume making heavy water. Subsequent Allied bomber raids on the plant were not effective in stopping production due to the plant’s heavy walls. But the damage had already been done. The German atomic bomb effort had been slowed to the point that it would never be finished in time to influence the outcome of the war. Today, we don’t hear much about heavy water. Modern nuclear bomb technology has taken other routes. But it was once one of the most rare and dangerous substances in the world, and brave soldiers—both British and Norwegian—fought courageously to stop its production.